Ever since I started doing armor modeling, I have gradually shifted my purchase pattern. In the days of Gunpla, buying direct from Japan makes sense. HLJ and such has regular 20% off on kits, combined with SAL shipping it makes for very reasonable pricing. The only way to get it cheaper is to buy the kits from Hong Kong and bring them back directly myself. Switching to armor however, the ecosystem is filled with a lot of international manufacturers, notably Chinese, since you have brands like Dragon, Meng, Takom, Ryefield and Trumpeter etc. When purchased from US or even Japan you get very significant mark ups in prices. There are a few online shops I frequented (not Amazon, whom I have bought a grand total of one kit from them since they are almost always more expensive than anyone else) that I think I can claim lowest pricing, but one day I decided to make the plunge and try buying direct from China and see how that goes, because the pricing is just too good. The difference in pricing comes from two sources. Of course if you buy direct you skip all the distributors, but in addition the lower living standard in China means the profits are not jacked so high up as well. Consider an old Tamiya kit 35096 Panzer IV ausf D., it is a cheap kit due to its age (1977), it costs about 90 RMB in China ($13USD), $18USD from Japan and about the same from US. This is about the lowest margin of difference I’ve encountered and that’s 18%. With Chinese manufacturers however the margin is a lot more. I’m a Meng fan, so consider their Panther kits which are in the range of $38USD, costs about 150 RMB which is about $22USD, that’s more than 40% off! The level of margin varies but for regular kits I find the margin to be 30-50% difference. I use Taobao because they have a lot of individual sellers which gives you high coverage of products, built-in foreign shipping logstics as well as some level of guarantees. You can buy direct from model shops elsewhere but for most of my own purchases I find the option described in this article the best. Note that they have restrictions on products you can ship. In particular you cannot buy paint or glue, they cannot be shipping to the US and will be tossed (had that happen). Wood is also not ok officially – I tried buying some wooden bases, a couple of shipments went through but one didn’t, so I stopped. Selection is another primary benefit of shopping there. Because of the vast selection of merchants there often are kits or accessories that are hard to locate in the US, such as a lot of the voyager PE sets, and some of the older Dragon kits. Also shouldn’t go unnoticed is many sellers have VIP systems that gives discounts for repeated purchase. One of the stores I frequent gives almost 7% off for new releases of Chinese manufacturers which was pretty substantial. This meant I got the Meng Jagdpanther for just about $20USD. There are of course 3 huge obstacles and it would be silly to ignore them. First is language, second is the shipping cost, and third security. Let me first start with shipping as it is about pure numbers. The way I buy from Taobao is through their official logistics which I believe to be the most convenient option and probably the cheapest, though I have not really compared. The sellers will ship packages to their collection center, and you can group packages together. The latter is very important because of the shipping cost structure. For shipping, they only have EMS. Kits arrive in 1-2 weeks for US. The first 1KG is 83 RMB ($12USD), each additional 0.5 KG is $23 ($3.4USD). So you can see there is an initial cost for any shipment, and you can amortize it by adding more weight to the shipment. Not to ignore are the local shipping costs you need to pay for the kit from ship from the shops to the collection centers, and they vary with average being 10 RMB ($1.5USD). It’s not a huge component but they add up when you buy from a whole bunch of sellers. This is definitely much higher than the cheapest US continental shipping, which I found to be $10 flat if you have a heavy package. So the question is how does the shipping cost offset the cheaper prices of kits? This of course depends strongly on what you are buying, in particular if you buy a bunch of voyager PE sets which are super light, you get an extremely favorable ratio. But for regular kits, I found the total savings to be in the range of 20-40% savings after shipping is factored in. Higher if you buy expensive Dragon kits or limited edition kits, and lower if you buy cheaper Tamiya old kits. There is another huge caveat to that, which has to do with the number of packages you’re adding to a shipment. As I mentioned sellers may charge you for local shipping so the more packages you get the higher this cost. But more importantly the packaging themselves are contributing hugely to the final shipping costs. The collection center does this thing to squeeze profit where they compute *your* shipping cost by adding the weight of all packages. However when they create a shipment they actually repackage everything into one box, and toss the original packaging. What this means is that your final shipment is significantly lighter than what they charge you, and they are making profits off of it. I had packages that ended up 20-30% lighter. I felt some injustice here initially but now has accepted this as handling cost. But you can see it is beneficial to buy from as little sellers as possible if you want to reduce the cost incurred by packaging. Let me divert a little and talk about kit pricing in China. The markups are quite different between different manufacturers. Takom stands out from the others in that a few years ago they decided to not distribute inside China (I missed the reasoning), so the price benefit isn’t as large, and in fact in US Takom kit prices are very competitive. Manufacturers like ICM and MiniArt are from Eastern Europe, so again the margin is there due to living standards, but not as large, around 10-15% which brings down the advantage after you factor in shipping. Let me talk about security next. They have a rating system for sellers which indicates both the number of sales made and number of years in business. I don’t really care much about their numerical ratings since everybody has a 4.9 with 5.0 full score. My reasoning is that a large seller in business longer will be more trustworthy. There are a few sellers I buy from (3G, zeroeva) that I don’t have a problem with. So this is not where the main problem comes from. The issue is really with shipping and collection center. The center provides a package checking service – when they accept packages from sellers, they will check items in the package against the order and mark them off, so that in case something is missing you have the option to send it back to the seller. That seems nice, but there are two problems. First, if you have big boxes of kits that’s not a huge issue, but if you have a ton of PEs and accessories, it is very hard for the checker to count the products properly. You may wonder how hard it is, but if you emphasize a bit, these are manual workers on lower than minimum wage, they aren’t going to do a super job on it. So half of my packages often end up in a limbo state: the package is signed and accepted, but you cannot ship it. Worst, Taobao doesn’t tell you there is a problem most of the time, you see that the package is stuck and after 3 days you realize something is off and you have to contact customer service to resolve it. You have to talk to a live person to figure out what’s going on. This comes to my second point, because the checker cannot reliably check for packages, there is little point in checking in the first place. If you decide indeed the package has missing products, you can only contact the seller and ship it back. I contacted a seller once, and he said it was impossible the product was missing, and he was right. So my conclusion is that you only rely on blind faith that the shipment is complete, and whether the package was flagged missing or not, just accept it. Now you may ask whether you can ask for a refund if you have it shipped to you overseas, and I don’t expect this to be a reasonable option. You have to pay for international shipping yourself to ship it back, and that alone will not be worth it, not to mention you’ll have some argument with the seller about whether the seller was responsible or not, like it could have been dropped by the collection center. I think it is a lost cause. So my conclusion here is there is no refund on anything, you have to rely on blind faith that the whole process works end-to-end. Over time, touchwood, the only product that didn’t reach me was a $2 mesh pipe that had broken packaging and must have been lost during repackaging. But there is a third factor in security, and that is how they handle your package. In short, not well, and I strongly believe the packers are instructed to minimize shipping cost (as it is part of the margin the center profits from), so they use recycled beat-up boxes. If you care about getting pristine boxes, you should never buy from Taobao. During repackaging, they squeeze every kit into the beat-up box that can barely fit all kits, this is where the manufacturer’s packaging comes in. Trumpeter/HobbyBoss has very sturdy cardbox boses and they stay their shape very well. Dragon in particular have very weak boxes and often deformed. I have one case where for some reason the packer decided the Dragon box was not to be used, and put all the sprues directly into the outer package, which crushed the sprues and caused deformations. Not happy and I’ll know the true extent of damage when I build the kit, but at least I didn’t lose any parts. So there you have it. It is a pretty risky proposition but you have to decide whether this is worth it or not. Look at it from the perspective that if your savings outweighs the total loss, then don’t be too sad. It seems strange to put language the last. Without describing some of the situations above however, it is hard to appreciate how much language matters. Of course in order to use the Taobao website you need to to be able to read what’s there. With Google translate via Chrome, it is probably not too difficult, although I don’t do that myself. There are lots of details to read, such as reputations of sellers, shipping costs, available variants that you need to choose, and what type of sales. For example pre-order are prevalent and sometimes the seller may not have the product in hand. So you have to read the fine prints to see when you are going to expect the shipment. Anyway this type of relevant information is where the reading becomes very important and it’s not just about recognizing the product pictures. Then there is this problem of handling exceptions. As I mentioned unless things go exactly as planned – and 30% of the time they don’t – you need to work with their live chat. You can copy and paste Google translate to talk with the person, but honestly that may lead to all sorts of misunderstanding. I also didn’t mention that the seller may contact you through an IM system just for Taobao, which in some rare cases were required to resolve issues. 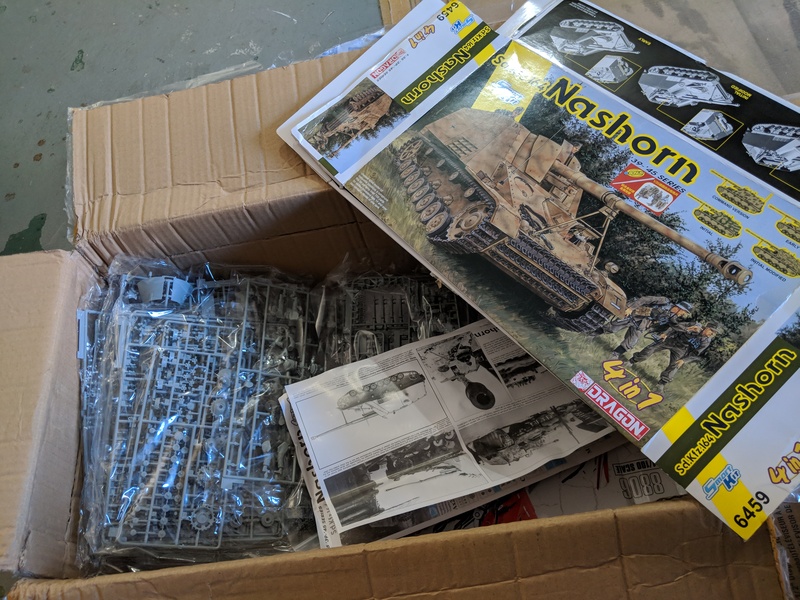 For example one seller sent the wrong kit during a sales, and he wanted to make up for it; in another instance the seller wanted me to clarify the purchase. I hope this rant gave you some idea of how it works. In retrospect the 30-40% savings is very good if you’re willing to take the risks and can manage the communications.